Enjoy international cuisine at Verandah, one of the hotel's 3 restaurants, or stay in and take advantage of the 24-hour room service. Snacks are also available at the coffee shop/café. Unwind at the end of the day with a drink at the bar/lounge or the poolside bar. Buffet breakfasts are available daily from 6 AM to 10 AM for a fee. Make yourself at home in one of the 36 air-conditioned rooms featuring refrigerators and flat-screen televisions. Complimentary wireless Internet access keeps you connected, and cable programming is available for your entertainment. Bathrooms have showers and complimentary toiletries. Conveniences include safes and desks, and housekeeping is provided daily. 327/2 Moo 10, Soi 10, Pattaya Beach Rd. 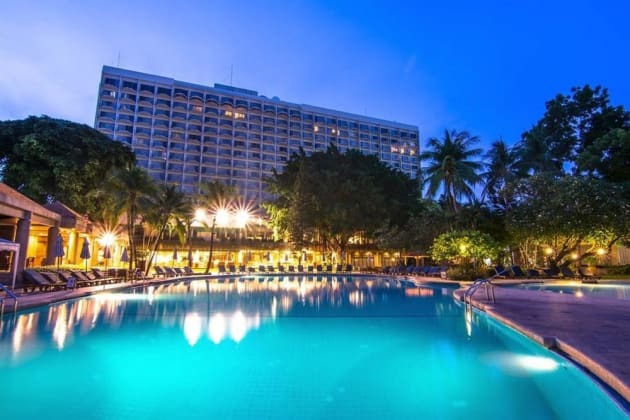 Located in Pattaya (Central Pattaya), Arya Inn Pattaya Beach Hotel is within a 10-minute walk of Central Festival Pattaya Beach and Pattaya Beach Road. This hotel is 0.3 mi (0.5 km) from Pattaya Beach and 0.5 mi (0.8 km) from Ripley's Believe It or Not. 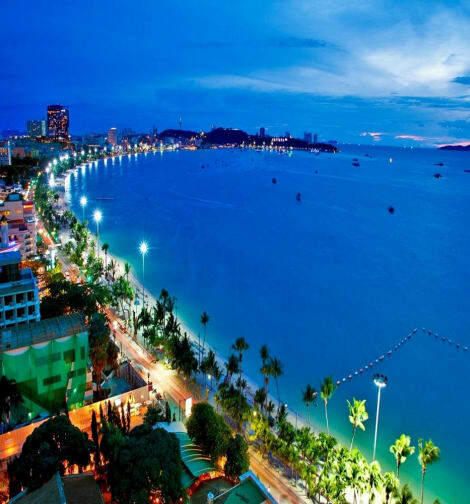 Located in Pattaya (Pattaya Beach Road), Boss Suites Pattaya is minutes from Central Festival Pattaya Beach and Ripley's Believe It or Not. 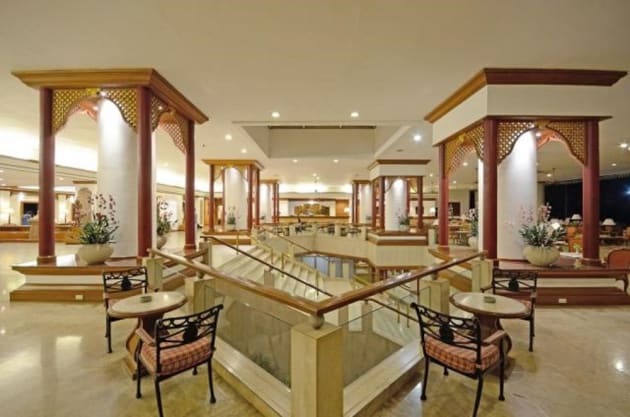 This hotel is within close proximity of Royal Garden Plaza and Pattaya Memorial Hospital.Rooms Make yourself at home in one of the 140 air-conditioned rooms featuring refrigerators and minibars. Complimentary wireless Internet access keeps you connected, and cable programming is available for your entertainment. Bathrooms have shower/tub combinations and complimentary toiletries. Conveniences include safes and desks, and housekeeping is provided daily. Enjoy recreation amenities such as an outdoor pool or take in the view from a garden. 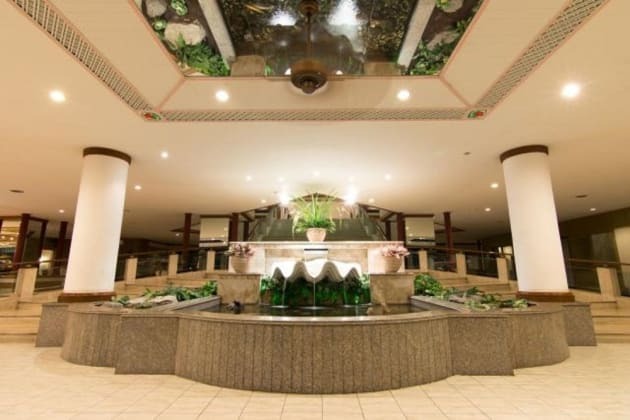 Additional amenities include complimentary wireless Internet access, a television in the lobby, and tour/ticket assistance.Dining Grab a bite at one of the hotel's 2 restaurants, or stay in and take advantage of room service (during limited hours). While enjoying a refreshing dip in the hotel pool, you can order your favorite drink at the poolside bar.Business, Other Amenities Featured amenities include dry cleaning/laundry services, a 24-hour front desk, and luggage storage.